Chetna has been studying and practicing yoga in its many aspects since 1999. She began teaching in 2003 and is a graduate of the Salt Spring Centre of Yoga, where she was certified in classical ashtanga and hatha yoga systems and is registered with the Yoga Alliance. She has completed the 1000 hours Yoga Therapy training through Integrative Yoga Therapy and achieved certification through the International Association of Yoga Therapists (C-IAYT). Chetna joined the faculty of the SSCY Yoga Teacher Trainings in 2007 and in 2018 assumed the role of YTT Program Director. Chetna teaches private yoga therapy sessions for specific conditions and specializing in yoga for cancer. As well she teaches public and corporate classes in Victoria. Her compassionate approach to teaching promotes an environment that is relaxing and encouraging, empowering and fun. Lyndsay has had a passion for yoga from early childhood to present and “teaches to learn”. She brings that passion and enthusiasm into her classes, where she explores different ways to connect inside to make the body light and the mind quiet. 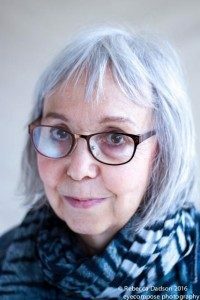 Her teaching style is inspired by Buckminster Fuller’s concepts of tensegrity structures and how we can use the body as a Tensegrity system to move and connect with least effort. Her intention is to help each student build a yogic understanding of their body/mind/spirit, enabling them to learn to be their own teacher. Lyndsay’s extensive training includes SSCY YTT 200, Traditional Yoga Apprenticeship 500 hr with Cathy Valentine, Vignana Yoga International 800 hr and Yoga Synergy 250 hr. Sarah joined the YTT Faculty at the Salt Spring Centre of Yoga in 2012 and absolutely loves supporting students as they journey through their YTT experience. A graduate of the Salt Spring Centre of Yoga (200 hr), Gannon Power Vinyasa Yoga (200hr) and Simon Fraser University (BFA, Dance), Sarah is a skilled and knowledgeable yoga, pranayama, meditation and movement educator. 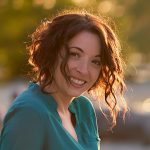 Currently, Sarah is working towards her 500 hour YTT with Phoenix Rising Yoga Therapy and a Bachelor’s degree in Social Work with the University of Victoria. When she is not studying, Sarah can be found working with adults with special needs at the Down Syndrome Research Foundation in Burnaby and teaching public classes in Vancouver with YYoga. Visit Sarah’s website. Priya (Tricia McLellan) is a graduate of the Salt Spring Yoga Centre, RYT 500 hr Mount Madonna Centre, 300 hr Integrative Yoga Therapeutics, and is the Co-Owner of Satya Yoga Studio in Williams Lake. 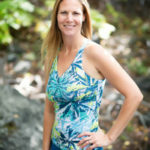 She is trained in classical ashtanga & hatha yoga systems, yin yoga, level 2 reiki, integrative yoga therapeutics, trauma informed yoga and has earned a diploma in Human Kinetics. In her yoga classes, Priya weaves together mindfulness, alignment, strength and softness in a flow style practice. She guides students in a rhythm that allows them to move in harmony with their breath and to discover the obstacles / opportunities that are waiting to be met. The word Satya means truth and she invites you to discover your truth. Kenzie has been practicing and studying yoga since 1998. She completed her 200 hour YTT at Salt Spring Centre of Yoga in 2002 and her 500 hour YTT through Semperviva Yoga College in 2015. Though her advanced training has been primarily focused on Vinyasa, Restorative and Yin, she is most inspired by teaching complete beginners. She loves simplifying the practice and postures so as to be completely accessible to everyone regardless of their age, ability, or background. Her greatest intention when she teaches is to hold space for a student’s own meaningful practice intuitively and peacefully. Our yoga teacher, Baba Hari Dass says “If you work on yoga, yoga will work on you”. This has definitely been my experience. I have been practicing yoga for 16 years, starting in university as a way to alleviate stress and anxiety. My practice has evolved to become the corner stone for all aspects of my life; influencing my relationships, the way I view the world and the community around me, and how I flow through life in general. In 2010, I experienced a life changing work place accident and decided to deepen my personal practice as a way to encourage healing and personal growth. My yogic trainings include SSCY YTT 200 hr and YTT 500 hr at Mount Madonna Center in CA. Baba Hari Dass reminds us that we “teach to learn” and I take this to heart. I learn something new in every class I teach or take. My teaching style integrates principles of alignment, subtle body and ayurveda. By cultivating body, breath, and mind throughout the practice, I encourage students to dive inside and connect with their deepest selves. I teach Hatha, Gentle, Prenatal, Yin, and Restorative classes in Victoria, Langford, and Colwood. My journey into the asana practice of yoga started over ten years ago, in the annex of an old church building on a side street near my University, but my study of yoga philosophy started in my very early years unbeknownst to me at the time as it was disguised in the stories my mom would read me. I have taken my teacher training at the Salt Spring Centre of Yoga and have continued to further my studies through books and workshops with Judith Lasater, David Swenson, and others. I also have a deep love and appreciation for Ayurveda and am working towards becoming a certified Ayurvedic Health Counsellor at the Mount Madonna Institute of Ayurveda. I truly feel that by working on my daily practice, the more I can benefit those around me, from my students through to the smallest interactions with the many faces I pass in my day. I am drawn to teaching yoga because of the holistic benefits, little things that help you through tough times, moments of deep realizations and overall happiness it has provided me. I look forward to sharing this journey with you. Divakar has been practicing classical Ashtanga Yoga since 1976. He has served as President of Dharma Sara Satsang Society from the early 1980s thru to 2015 and is one of the founding members of the Salt Spring Centre of Yoga. 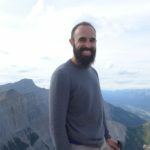 Divakar is a long time teacher of pranayama, meditation and yoga philosophy at the SSCY Yoga Retreats, annual Yoga Teacher Training, for SSCY staff and karma yogis and with the Vancouver satsang. He was an original member of the SSCY YTT 200 program and continues to serve on the Committee and Faculty. Divakar has mediation skills and a sense of humour that he brings to his roles and duties. He has been a mentor for many students and karma yogis. Chandra has been practicing classical ashtanga yoga since becoming a student of Baba Hari Dass in 1974. She has certification in YTT 200 and 500 (2008) from Mount Madonna Center and serves as senior educational administrator of the SSCY YTT 200 program. Chandra holds a BA from Dalhousie University, a professional diploma (PDP) in education from SFU, and an M.Ed in Adult, Community and Higher Education from University of Calgary (2006), with a focus on spirituality in higher education. Chandra teaches pranayama and meditation and has been a featured speaker on teaching ethics at conferences for education and health professionals. 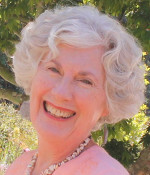 She served on the Dharma Sara Satsang Society Board of Directors for several years. Lakshmi has been practicing classical ashtanga yoga since 1975. She has certification for YTT 200 and 500 from Mount Madonna Center. She holds a BA in Psychology, Professional Diploma after Degree in Education and a Masters in Adult Education from UBC where she taught and did administration from 1979-2010. 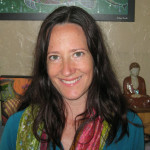 Currently, she helps to plan, deliver and teach for programs at the Salt Spring Centre of Yoga. Lakshmi is a founding member of Dharma Sara Satsang Society and has served on the Board of Directors for many years. She is very grateful to Baba Hari Dass for his wonderful inspiration and teachings. Bryan has been a student of yoga since 2000. He completed his 200 hour Yoga Teacher Training at SSCY in 2008 and has been actively teaching classes since then. He continues to expand his experience with yoga by attending workshops, studying yogic text and helping his community through volunteer efforts. Bryan began his teaching of physical skills and fitness in 1999. He has worked extensively in aquatics as well as land based programs. In his career he has had direct contact with numerous age groups and ability levels. He has had the privilege to lead specialized classes for people affected by Alzheimer’s disease, stroke and those recovering from orthopedic surgery. He has taken many college and private courses tailored to health and fitness professionals. Bryan completed a 3000 hour program to become a massage therapist in 2012. This program brings a rich depth of knowledge to his own practice and that of his students. His education has exposed him to detailed human anatomy and pathology. Balanced health has been a priority for Bryan throughout his life. He believes the efforts of caring for his body and mind allow his spirit to communicate with grace and ease. Janice graduated from McGill University in 1991 with a BSc in Anatomy and an MSc in Biology. She received her MD from McMaster University in 1996 and has been practicing holistically as an MD in Vancouver since 1998. In 2001 Janice received acupuncture training through the Acupuncture Foundation of Canada Institute; she has also completed extensive training in palliative care. 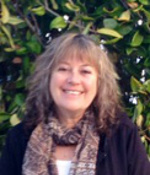 Janice’s interest in holistic medicine and natural healing is longstanding. She believes in integrative medicine – using both conventional medicine and complementary modalities to support and encourage the body’s innate capacity towards wholeness. To this end, Janice practices at InspireHealth, Canada’s only Integrated Cancer Care Centre. Patients are offered yoga, meditation and other inspirational classes. Janice became certified as a yoga instructor in the Salt Spring Centre of Yoga YTT program in 2003 and practices asana, pranayama and meditation regularly. Yogeshwar has been practicing yoga since 2006, and he did his first teacher training in 2008 at Mount Madonna Center, near Santa Cruz, California. He also spent several years in residence there, where he deepened his study and practice of yoga and completed an additional 300 hours of yoga teacher training in 2011. He also became a staff instructor of āsana, prāṇāyāma, meditation, and yoga philosophy for resident staff, retreat guests, and Mount Madonna Center’s own YTT. In addition, he served as a pūjārī at the Center’s Hanumān Temple, which also sparked an interest in the Sanskrit language and Vedic and Tantric forms of ritual. Following his time at Mount Madonna, Yogeshwar completed an M.A. in Religious Studies at the University of Calgary. His studies focused on Eastern Religion and Philosophy, as well as Sanskrit, and in 2016 he wrote and defended a thesis comparing the Yogasūtra’s accounts of samāpatti, or meditative absorption, with currents in 20th century continental philosophy. During his studies, he also continued to teach āsana and meditation at various studios and venues in Calgary. Yogeshwar currently resides with his wife Rebecca at the Salt Spring Centre of Yoga, where he serves as Operations Manager. Among other duties, he helps organize the Centre’s karma yoga program, hosts a weekly Yogasūtra class, and helps plan and orchestrate the Centre’s ongoing ritual observances (pūjā and yajña). When he’s not busy with all of that, he likes relaxing with a good book, going hiking with Rebecca, or just soaking up the natural beauty of the island. Shankar is Professor Emeritus in the School of Human Kinetics at the University of BC and holds degrees from Leeds University and UBC, a PhD in Kinesiology from SFU, and an Honorary Master Herbalist degree from the Dominion Herbal College. He completed the Sivananda Yoga Teacher Training in 1973. A founding member of Dharma Sara and a long time student of Baba Hari Dass, Shankar teaches yoga philosophy at the SSCY Yoga Teacher Training as well as ongoing weekly classes at the Centre. Additional philosophy instructors include Divakar Mark Raetzen, Chandra Pamela Rose and other guest presenters.